This is the second in a series of articles from NCLC that provide advice for families in financial difficulty. (The first article was “Dealing with Medical Debt.”) The Consumer Debt Advice series, targeted directly to the consumer, includes information about legal rights and best strategies for dealing with debt. Readers are encouraged to share these articles with individuals who may benefit—clients, counselors, community groups, clergy, and others. Use the “email” icon at the top of this screen to reach your networks directly. This article focuses on reverse mortgages, including: who should consider a reverse mortgage; how reverse mortgages work; the foreclosure risks; the impact on spouses, partners, and heirs; and whether taking out a reverse mortgage is a good idea. Far more detail with legal citations on consumer rights dealing with reverse mortgages is found in two National Consumer Law Center treatises both updated at www.nclc.org/library. NCLC’s Mortgage Lending Chapter 9 considers origination, regulation, advertising abuses involving reverse mortgages. 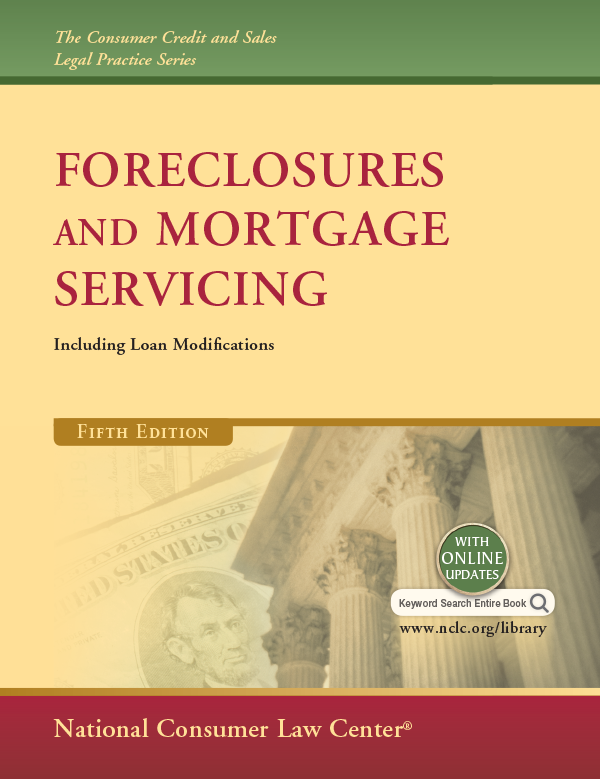 NCLC’s Foreclosures and Mortgage Servicing Chapter 16 focuses on preventing foreclosure of reverse mortgages. For households struggling to pay all their bills, and where at least one of the homeowner’s is 62 years old or older, one option to consider is a reverse mortgage. A reverse mortgage differs from a traditional mortgage because the borrower receives a lump sum or a stream of payments, but does not make monthly payments on the loan. Instead, over time the balance due on the reverse mortgage grows, as the monthly interest and other fees are added to the loan balance. The loan is called a “reverse” mortgage because the balance goes up over time, instead of going down. No payment is due on the reverse mortgage until the borrower dies or moves out of the home, at which time the full loan balance becomes due. A reverse mortgage can provide cash to the homeowner, eliminate payments on a preexisting mortgage, and allow the homeowner to remain in the home (as long as the homeowner can pay for property taxes, insurance, and necessary repairs). Contrary to some misconceptions, the borrower on a reverse mortgage is still the owner of their home, although the lender will be permitted to foreclose if the loan is not paid off within a period of time after the borrower’s death. Reverse mortgages are not for most homeowners. They are expensive—high closing costs and interest rates higher than standard prime mortgages. Once the equity has been drawn down through a reverse mortgage, it may not be possible to draw against the home again to pay for necessary expenses, such as home health care. Worst of all, some reverse mortgages are scams, so borrowers should get all the information up front and seek independent advice before signing on the dotted line. • Your home is worth significantly more than any outstanding mortgages on the home. • Your home must be your principal residence, where you reside the majority of the year. • You are not delinquent on any federal student loans or other federal debt. • You have the financial resources to make timely payments on property taxes, insurance, homeowner association fees, and the like. • You have a counseling session with an independent HUD-approved counselor. • A single family home. • A manufactured home meeting FHA requirements. • A HUD-approved condominium project. • A two-to-four unit home and you occupy one of the units. Even if you meet all these requirements, a reverse mortgage may not be right for you—depending on your financial situation, it may actually be the wrong choice. If after reading this article, you are still interested in a reverse mortgage, the first step is to meet a reverse mortgage counselor approved by the U.S. Department of Housing and Urban Development (HUD). This counseling is required before moving forward with a loan application with any lender participating in the HECM program. Find a counselor by calling 800-569-4287 or by going to https://www.hud.gov/program_offices/housing/sfh/hecm/hecmlenders. Counseling is required, but it is also important to help you understand the reverse mortgage product. A counselor will help you weigh other financial and loan options, the costs and benefits of a reverse mortgage, its impact on your eligibility for federal and state benefits, and how the reverse mortgage affects others in the household and your heirs. If you do not fully explore all these issues with the HUD-approved counselor, you should seek alternative counseling sources, because the reverse mortgage decision can be very complex and will have a significant effect on your future. You should be highly skeptical of any reverse mortgage offered you that is not in the HECM program or that does not involve a HUD-approved counselor. In fact, California and a few other states require counseling prior to obtaining any reverse mortgage. You also should be very wary of any reverse mortgage lender that is aggressively pitching to you through advertising or over the telephone. Lenders sometimes push reverse mortgages on borrowers without accurately describing all of the downsides of the loan. After talking to a HUD-approved counselor, reach out to a lender participating in the HECM program. A list of such lenders is available on https://www.hud.gov/program_offices/housing/sfh/lender/lenderlist. A reverse mortgage loan is secured by your home, like any mortgage, meaning the lender can foreclose if the loan terms are violated. Unlike most mortgages, there are no monthly payments on the reverse mortgage loan. Instead the loan comes due (with interest) upon a triggering event, typically the borrower passing away or permanently moving out of the home. There is a limit to how much you can borrow on your home, called the “principal limit.” Your principal limit will be higher the older you are, the higher the value of your home (after subtracting current mortgage balances), and the lower current interest rates are. If you are married or own the home with another person, the principal limit is based on the younger of the two of you. Your ability to obtain a reverse mortgage is much less tied to your credit score than a traditional mortgage, and you should not be refused a reverse mortgage or pay higher interest because you have low income or a blemished credit rating. Since there are no monthly payments on the loan itself, the lender is not concerned about your ability to make such mortgage payments. The lender will be checking to see that you have the resources (either on your own or through the reverse mortgage loan) to keep up with certain “property charges”—your property taxes, homeowner’s insurance, any homeowner association (HOA) dues, and necessary home repairs. You are required to pay these property charges during the term of the reverse mortgage. Failure to pay them will result in foreclosure and loss of the home. Many people have gotten into trouble on their reverse mortgage loan because they’re not used to paying the property taxes or insurance once a year when they come due, especially if they had a standard mortgage previously that collected the money through an escrow. It is important to understand this obligation to pay the taxes and insurance yourself, and to set aside the necessary funds. There are a number of ways you can receive the proceeds from a reverse mortgage loan. If you have a preexisting mortgage on your home, the reverse mortgage loan proceeds first will be used to pay off that mortgage. If your present mortgage balance is high, paying off this mortgage will significantly reduce what is available to you from your reverse mortgage loan. On the other hand, the reverse mortgage will free up your cash since you will no longer have to make mortgage payments on the preexisting mortgage. Remember, you will still have to pay property taxes, homeowner’s insurance, necessary repairs, and other home-related expenses. • One large payment of the full principal limit given to you in cash. This almost never makes sense. Instead, delay receiving as much of your reverse mortgage proceeds as possible to help you pay for future expenses—such as unexpected home repairs, health care expenses, and other emergencies. • A fixed monthly payment paid to you for a set period of time. This is called a “term” plan. • A fixed monthly payment (smaller than the “term plan” amount) that will be paid to you like an annuity for as long as you survive and live in the home (called a “tenure” plan). • As a line of credit to be drawn at your convenience. Only draw down what you need, and then interest and fees will only accrue on what you draw on. Not only will the remaining principal limit be available for you for future use, but that limit will increase over time. The line of credit option may also be combined with a term or tenure plan. Your reverse mortgage loan balance (how much you owe) is based on how much the reverse mortgage lender pays you, including paying off your mortgage and any other loans. Also added to the loan balance are any upfront closing costs similar to a regular mortgage—origination fees, real estate closing costs, and an initial mortgage insurance premium. As the lender gives you more money, your loan balance with the lender goes up. The balance also goes up each month with interest charges, mortgage insurance premiums, and servicing fees being added to the balance. The loan balance eventually must be repaid either when you pass away or when you move out of the house. The balance can be paid off by selling your home, by refinancing, or by letting the lender foreclose. If it is sold at foreclosure for more than the reverse mortgage loan balance, your heirs get to keep the difference. If it is sold for less, your heirs will not have to pay anything, because the difference is covered by mortgage insurance. You can also sell your home before you pass away or move out, and if you do, you would be able to keep the difference if the sale price is greater than the reverse mortgage loan balance at the time of sale. If the house is sold through a foreclosure or short sale for less than the loan balance, you will not owe anything, again because of the mortgage insurance. A reverse mortgage lender may foreclose on your home if you do not keep up with property taxes, homeowner’s insurance, homeowner association fees, and the like. If you fail to pay these charges, the lender may pay them for you and, if you can’t repay the lender in a relatively short time period, may foreclose. At the time you take out the reverse mortgage, if the lender determines that you do not have the ability or willingness to pay these property charges, they may require you to set aside funds from the available reverse mortgage’s principal limit to pay these expenses during your expected loan term. You must keep your home well maintained or risk foreclosure. At the time you take out your reverse mortgage, the lender will tell you which repairs you must make. The lender may even set aside some of your borrowing limit to ensure the repairs are made. The lender may then foreclose if you do not make the required repairs. You also later may have to keep the home up to standard if the home deteriorates over time or is later damaged. Where the needed repairs are caused by a fire or other covered incident, your homeowner’s insurance should help pay. If you are absent from your home for the majority of the year, your loan may become due and the lender may foreclose . If your absence is health-related, you can be absent for a full year before foreclosure can begin. For example, the loan will become due if you move to another home or permanently move to a nursing home. In a foreclosure, the lender will sell your home. If it is sold for less than your current loan balance, you will not owe the difference. If it is sold for more than the loan balance, you or your heirs will get the surplus funds. Usually you should add your spouse or partner as a co-borrower on the reverse mortgage. Then you both are responsible for the loan and both receive the benefits. As a co-borrower, your spouse or partner will be able to live in the home even if you no longer live there, such as if you have to move to a nursing facility. Even after you pass away, the co-borrower will be able to draw funds from an available line of credit (if the reverse mortgage is structured that way), as long as he or she remains in the house. According to HUD rules (after August 2014), a spouse who is not a co-borrower on the reverse mortgage is still protected and can remain in the home after the borrower leaves the house or passes on. The spouse has to be living with you continuously from when you took out the loan until when you pass on or leave the home. Also you have to have been married before you took out the loan. Even then, a non-borrowing spouse cannot receive loan proceeds after the borrower dies, which is a problem if you have been relying on such payments to make ends meet. A reverse mortgage is not a good idea for most people, and much depends on why you need the money. Reverse mortgages do not make sense to just pay off old credit card bills or medical debt, that may no longer even be charging interest and where the collector may never even sue you for the money. On the other hand, the inability to pay your car loan, utility bills, or your regular mortgage can have devastating consequences, and the costs of a reverse mortgage may make sense if these risks are at play. But even then, the NCLC Consumer Debt Advice series will provide you with other advice on dealing with these obligations, often making resort to a reverse mortgage unnecessary. You might also consider a reverse mortgage if you are in a cycle of paying enormous amounts of interest (hundreds of percent interest) on a series of small loans that add up to thousands of dollars of interest being paid every year—a reverse mortgage is usually a far cheaper alternative. • Reverse mortgage closing costs can be very high. Shop around for the loan with the smallest total fees. A reverse mortgage will be most costly, relatively speaking, if you continue to live in your home for only a few more years after taking out the loan. • The amount of cash you get may not meet your needs. A 65-year-old whose home is worth $50,000 after deducing the outstanding mortgages may get only around $150 per month on a tenure mortgage. (This calculation depends on a variety of factors, including interest rates, home value, and the amount of the closing costs.) You are still responsible for paying the property taxes, insurance, general up-keep of the property, homeowner association fees, utilities, and other home-related expenses. • You are paying interest, insurance, and servicing fees on a reverse mortgage loan, so that even if you do not draw down a lot of money, over time this loan obligation will grow. Then if you want to sell your home, you have to pay off a surprisingly large loan balance. It may mean that when you decide to sell, you have almost no remaining equity. • A monthly reverse mortgage payment is not considered income. But if the loan proceeds are taken as a lump sum, while that money is in the debtor’s hands it can be treated as an asset that could affect eligibility for means-tested government benefits like Supplemental Social Security Income, Medicaid, or food stamps. (Social Security payments are not affected.) Check with your benefits provider before taking out a reverse mortgage loan. • Some shady lenders offer very unfair reverse mortgages or conventional mortgages that look like reverse mortgages. Only work with a reputable lender in an established program. As a rule, only sign up for a HECM reverse mortgage. • A reverse mortgage may make it difficult to pass your home on to your heirs after your death. If your heirs want to keep the home they will need to pay off the amount due on the reverse mortgage. This is different from a regular mortgage, for which your heirs could simply keep making the monthly payments. At the time of your passing, the balance of the reverse mortgage may have grown to the point where there is little or no equity left to leave to your heirs. Using your home equity now and leaving less for your heirs may be the right decision if you need money now, but be aware of what it may mean for the future. There are other options beside a reverse mortgage to use your home as collateral to obtain loans to pay off your obligations—refinancing a first mortgage, a first or second mortgage, or a home equity line of credit. A reverse mortgage’s advantage is that there is no monthly payment and the underwriting is looser as far as your income and creditworthiness. The lender is not concerned whether you can make mortgage payments, and just wants to ensure you can pay for property taxes and insurance, either out of the reverse mortgage loan proceeds or otherwise. Also, upon foreclosure, with a reverse mortgage there is no risk of you or your heirs being required to pay a deficiency if the home is worth less than the mortgage’s outstanding balance. Interest rates and mortgage insurance for a reverse mortgage are generally higher than for other types of mortgages. With the exception of your spouse or your co-borrower, once you pass on or leave the house, those remaining in the house cannot stay—the house will be sold. 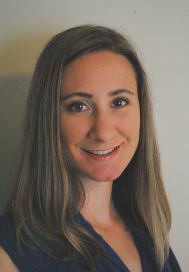 Sarah Bolling Mancini is Of Counsel for NCLC half-time, focusing on foreclosures and mortgage lending, and works half-time as an attorney in the Home Defense Program of Atlanta Legal Aid. She has experience representing homeowners in bankruptcy cases and litigating in state, federal district, and bankruptcy courts. She also clerked for the Honorable Amy Totenberg, U.S. District Court for the Northern District of Georgia. Sarah is a member of the Georgia Bar. She received her B.A. in public policy from Princeton University and her J.D. from Harvard Law School.